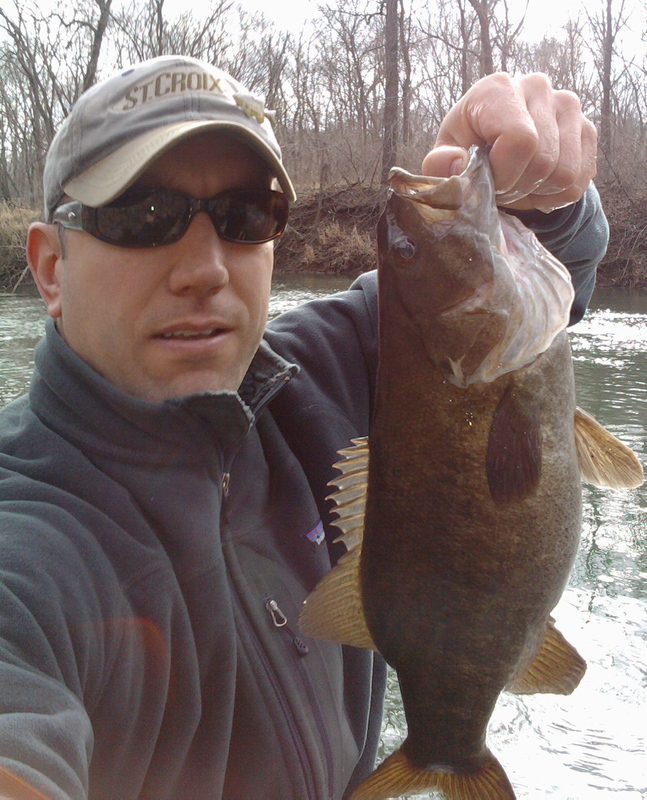 If you enjoy Smallmouth Bass fishing you will like the water found on the Big Piney and Gasconade Rivers. We can help you get on the water. 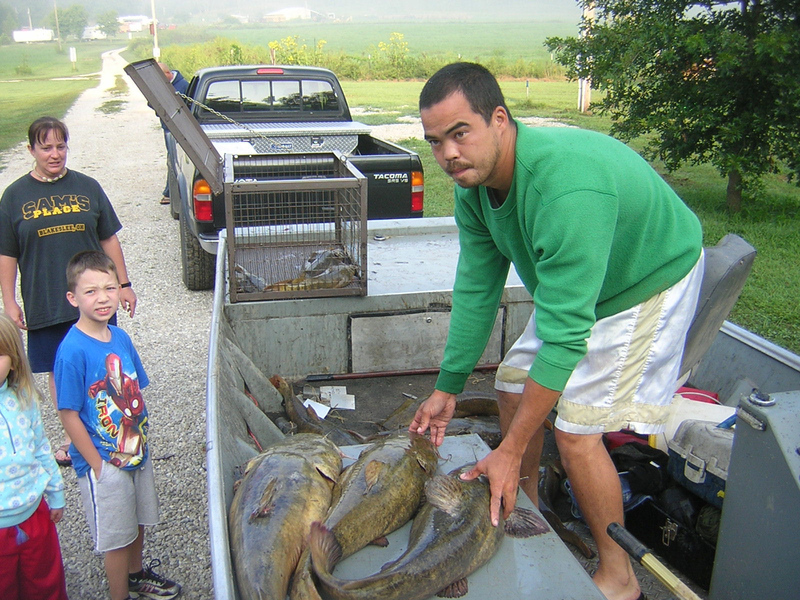 Rent a Jon boat, canoe, or kayak from us for your next Big Piney or Gasconade River fishing trip. 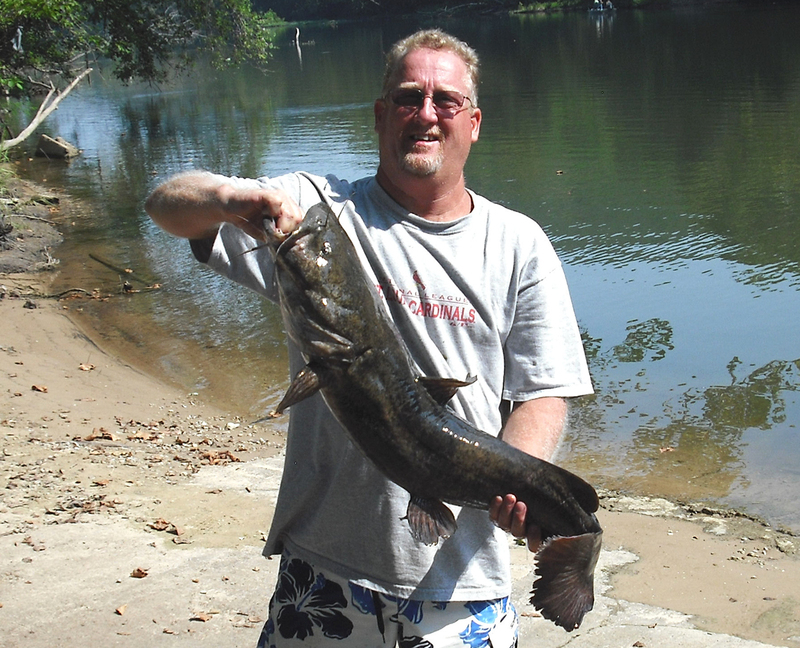 We offer fishing trips on the lower Big Piney and middle Gasconade Rivers where anglers tell us that it is the best of two rivers found in the heart of the Missouri Ozarks. 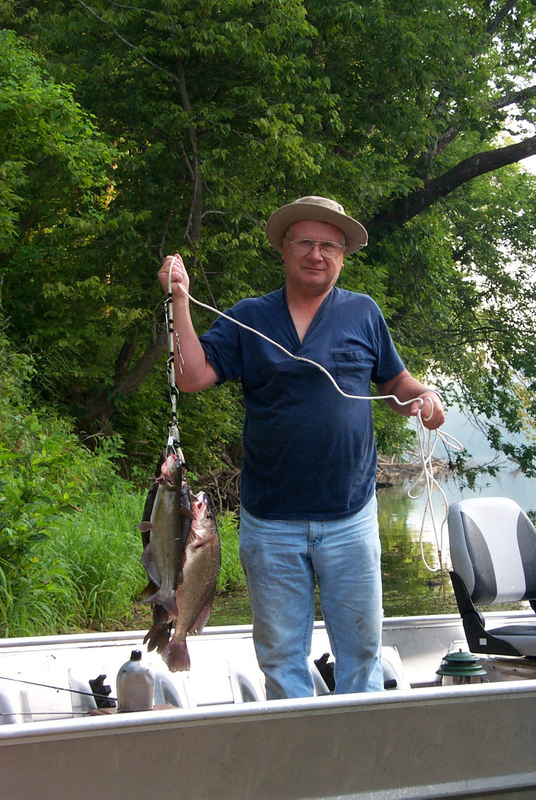 We recommend you fish the “Boiling Spring” where forty two million gallons of pure Ozark water flows from the spring into the Gasconade River each day making fishing here second to none. 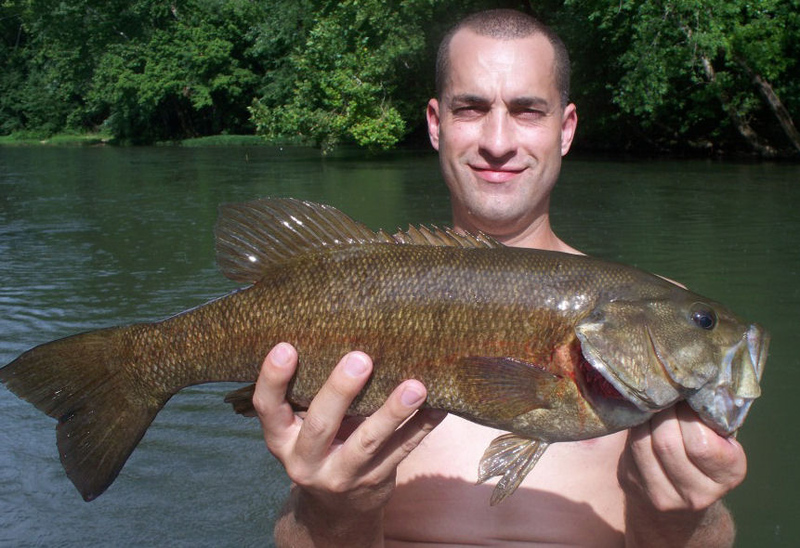 Our most popular fishing trips are within the 21 mile section of the Gasconade River’s “Gasconade Special Smallmouth Bass Research Area” where Smallmouth bass caught less than 18 inches must be released immediately unharmed back into the river. 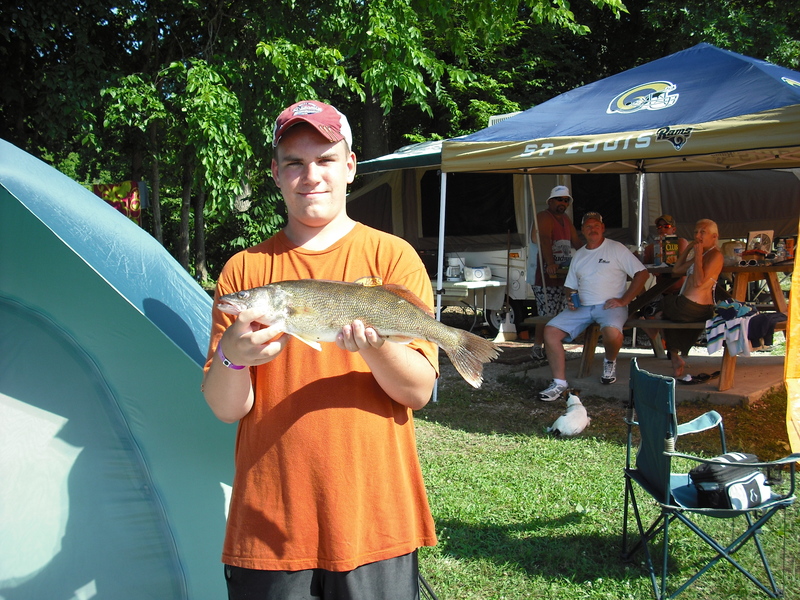 Shown here are photographs of some of our happy anglers who have camped and fished here at Boiling Spring Campground. 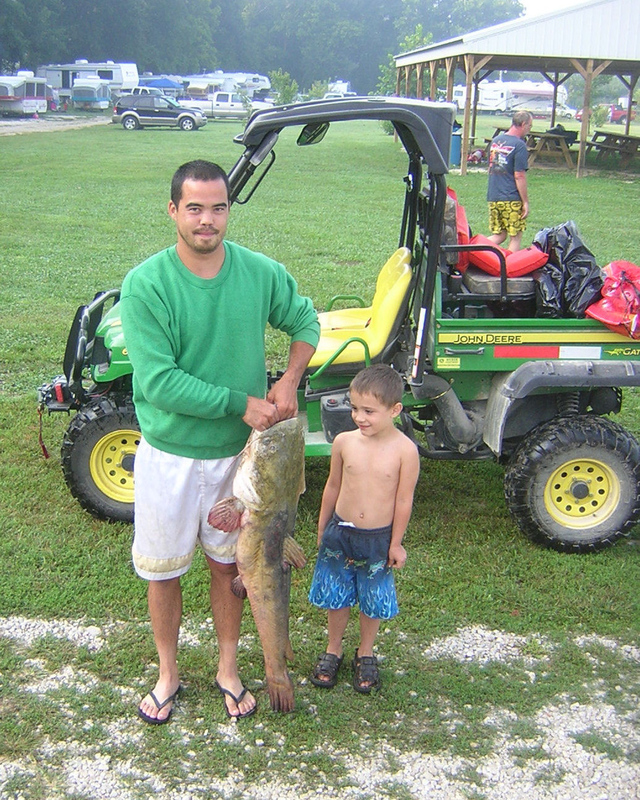 Our family oriented campground is a great place for your next family camping and float trip.